Today I thought I would bring back a feature I use to do awhile back called “Moody Monday“, where I feature a mood board of design inspiration, accessories and paint colors. I’m not sure I’m ready to bring back the feature every week, but if I can get my act together, you’ll be seeing at least a couple of these every month. Today, I wanted to pull a mood board together highlighting modern farmhouse style with a twist of chic. Now, I know not everyone is interested in the more traditional rustic farmhouse style but when it comes to the (less rustic) more modern farmhouse designs we’re seeing, I think there is a little something for everyone and every design style. More than anything, today I wanted to show you the layering possibilities and give you lots of inspiration for fabrics, finishes, accessories, rugs and paint colors. Below are the sources for everything in the design board. Click on the coordinating number directly below image for link to the product source (affiliate links used). 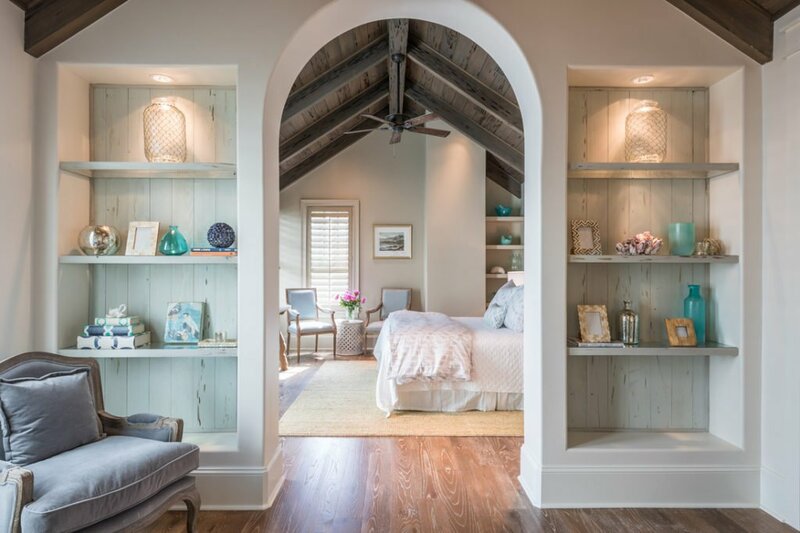 Incorporating reclaimed wood into the back of bookshelves or using old doors in a more modern way is a great way to work in architectural elements. You can find these fun old pieces at salvage yards or even antique stores. It doesn’t have to be farmhouse, many of these old pieces will work with any design style. 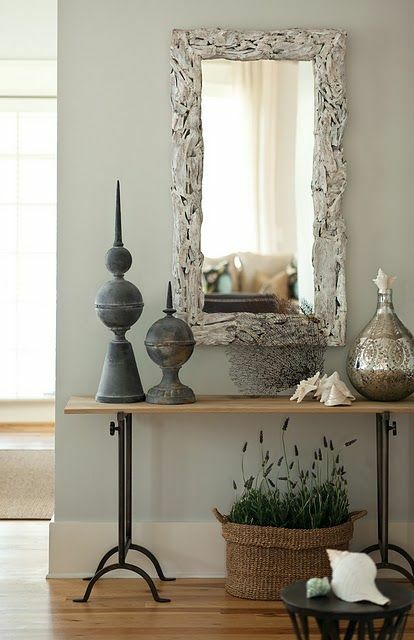 A modern alternative to traditional rustic farmhouse finishes like galvanized metal is by incorporating shiny chrome, nickel and mercury glass. Better yet, try mixing in some galvanized metal with modern mercury glass. It’s a beautiful and modern combination. 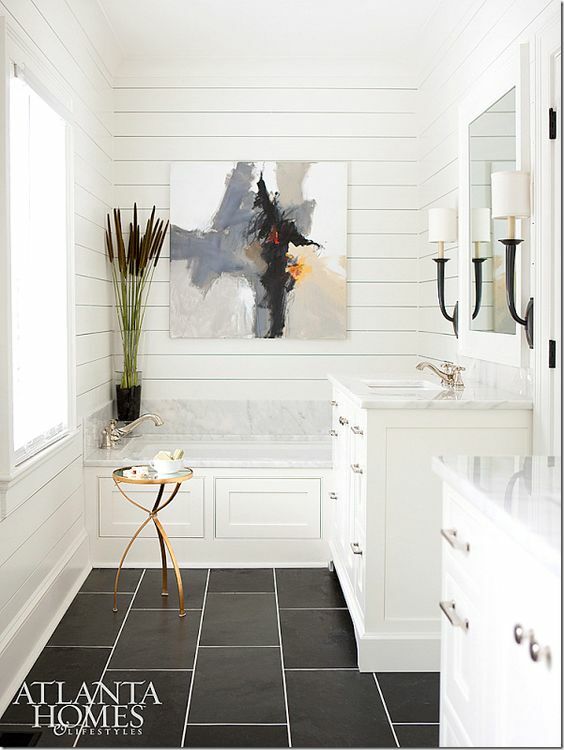 A modern alternative to rustic farmhouse art is incorporating bolder abstracts pieces that really add a wow factor to a space. 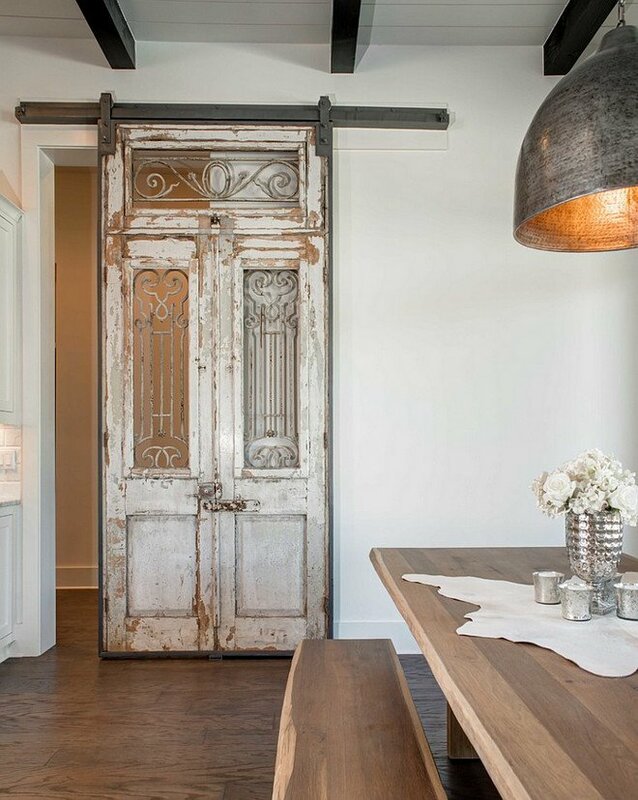 I think the mix of rustic and modern is so interesting and chic in a space. 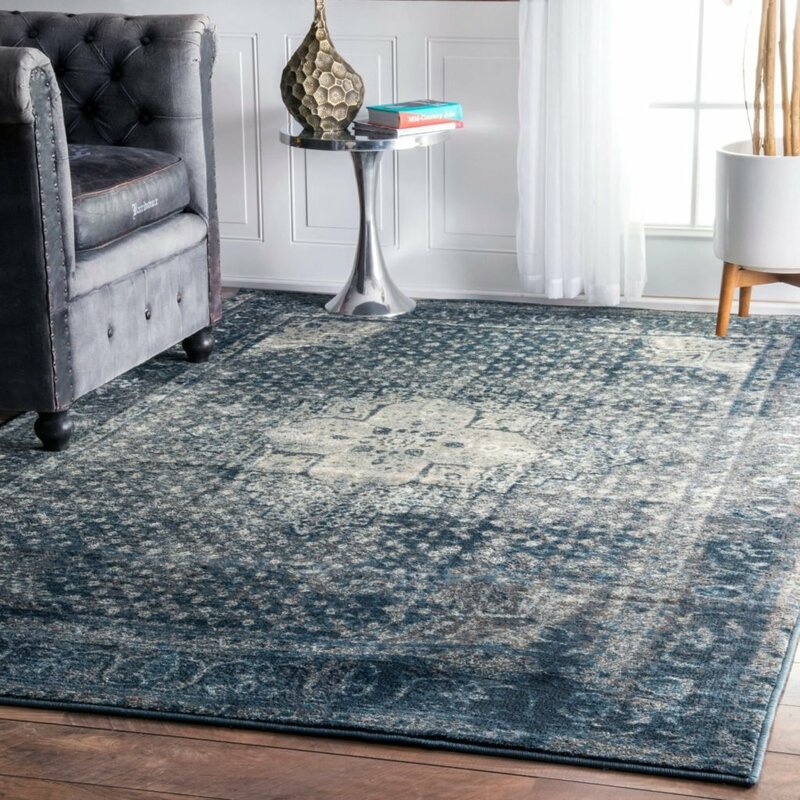 Another easy way to add a twist of chic to modern farmhouse style is to add a more modern rug like an overdyed rug. Overdyed gives the appearance of being distressed and old but the vibrant colors they add when they are re-dyed really kick it up a notch and give a modern feel. Again, that mix of old and modern is so interesting and adds so much interest in a space. 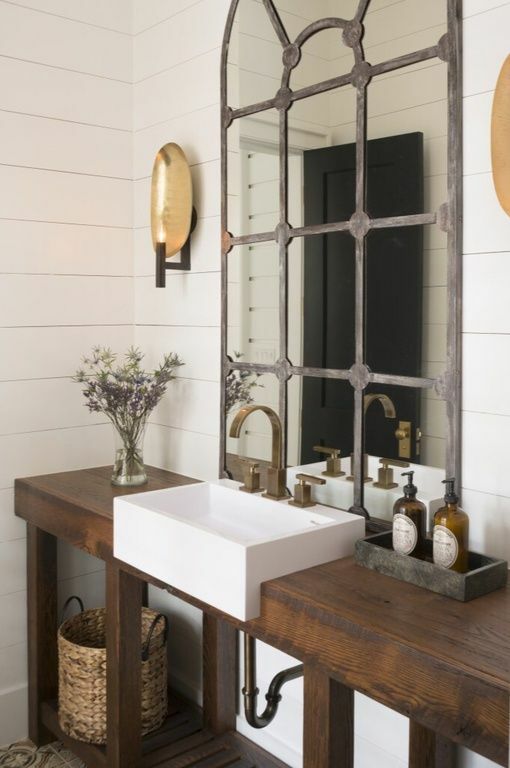 Rustic farmhouse style colors that we traditionally see are usually something like white, black, red, green and yellow. 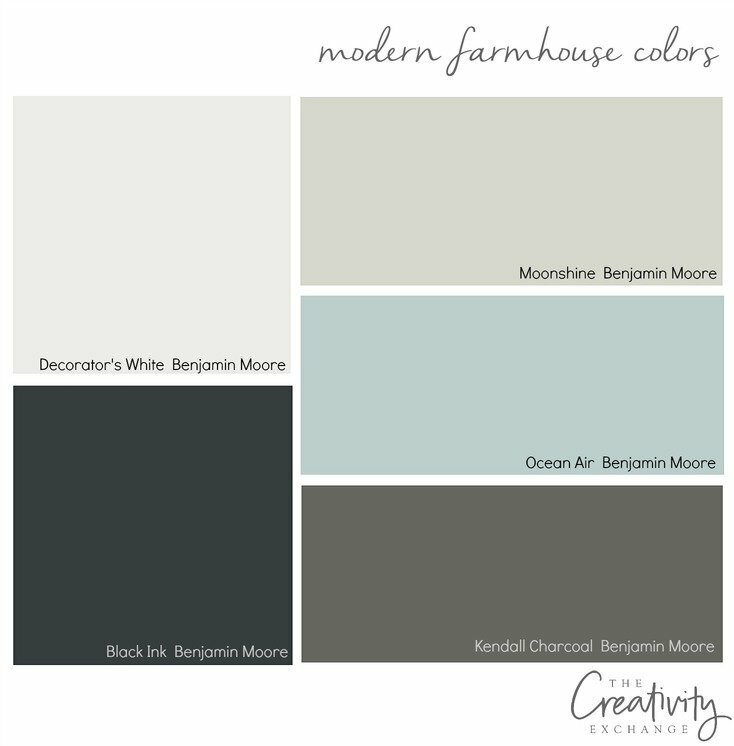 Anything goes when it comes to modern farmhouse color schemes but I love the idea of using more muted/muddy type colors and even layering shades of one color like indigo and gray, mixed with the traditional black and white. I hope there is something here that inspires and helps you to create your perfect space no matter what your design style is. Thanks for stopping by today and if you want to look at past Moody Mondays, you can find them here. 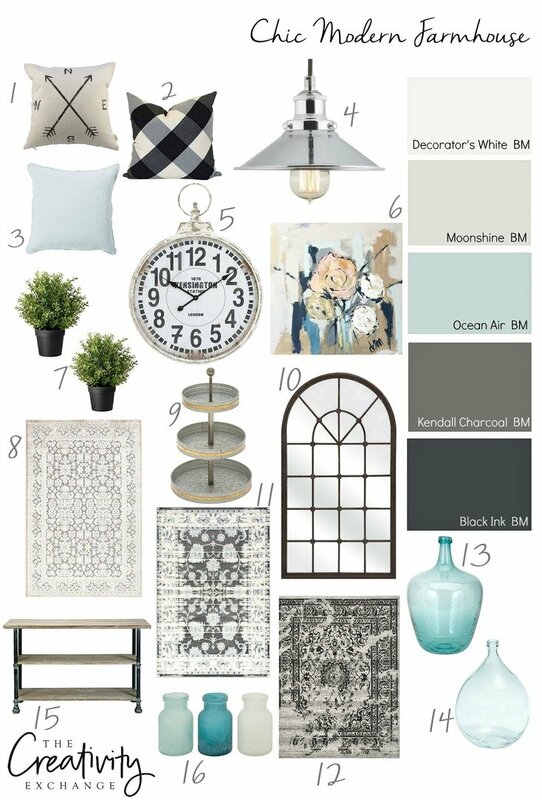 This mood board does have a bit of a sophisticated coastal vibe to it – especially the colors (the blues and grays). I could see myself using some of these ideas in my son’s room. He’s leaving for college and I am converting it to a guest room. Thanks for sharing. 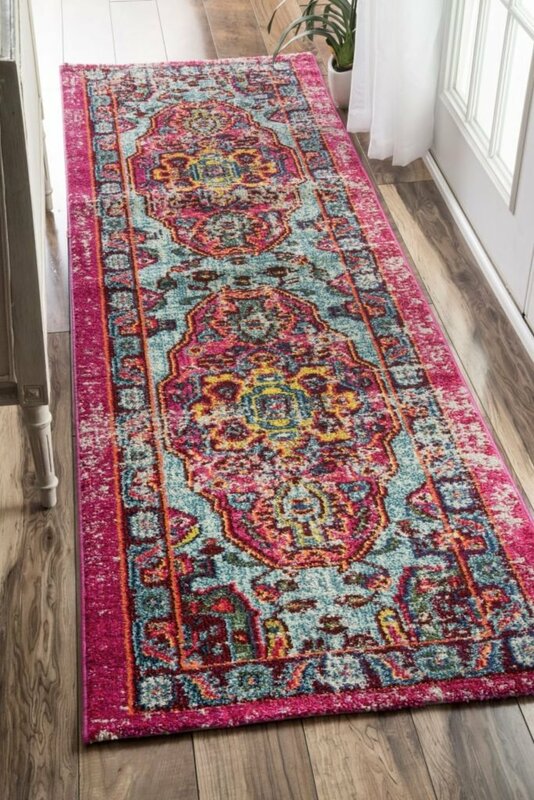 I love the pop of color that those rugs bring. This looks is so elegant and beautiful! Thanks so much for sharing the ideas! I cannot get enough of your impeccable taste! I love your posts, especially about paint colors. A little off this post, but I wanted to tell you that I went with one of your favorites for our master bedroom, Repose Gray by SW. After trying countless colors (many grays and greiges) I am excited to see it on our walls! I am curious if you have any posts or ideas about nice accent colors that go with Repose Gray. Thanks again for your wonderful blog! Thanks Cyndy! 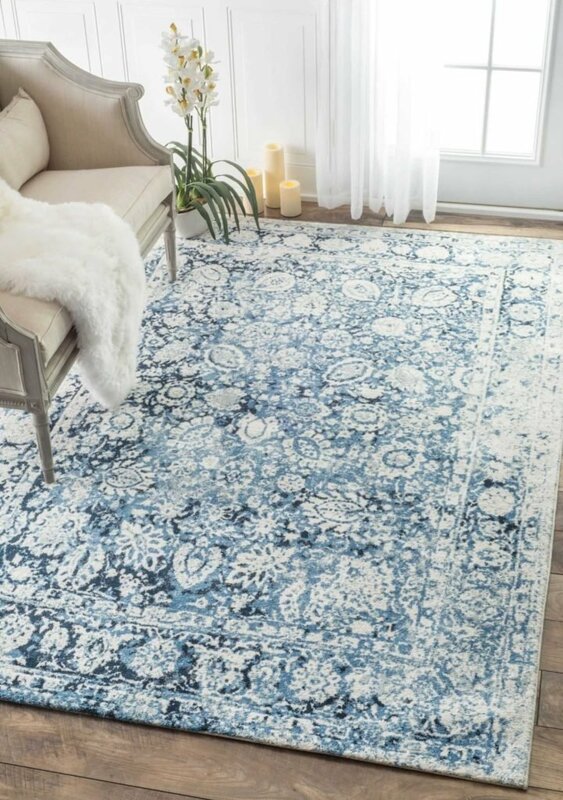 I love indigo and am dying to use indigo batik by SW somewhere, but maybe I will start by using indigo accessories for this room — throw on the bed, etc. You are very welcome for the compliments and time, your blog is truly special and I appreciate you leaving a comment for me. 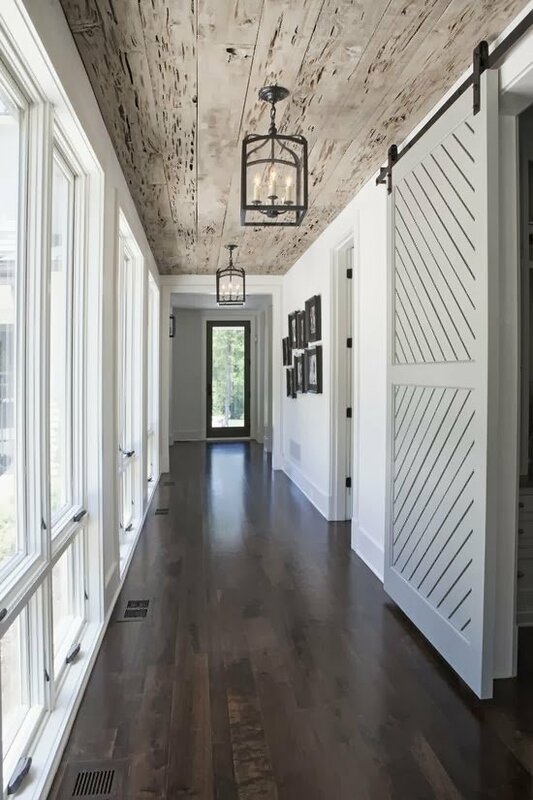 I love the wood floor of the hallway with the sliding barn door! The light ceiling is a great contrast! Could you please tell me where I could find the flooring? Thank you so much!